The Pike County Conservation District works with municipalities throughout the year providing technical assistance and funding for improvements to dirt gravel and low volume roads that address erosion or sediment delivery to streams and waterways. The Dirt, Gravel and Low Volume Road Program is funded through the state and our local municipalities benefit through the assistance provided under the program. The Center for Dirt and Gravel Road Studies selected two projects to highlight in their 2016 Project Calendar distributed state-wide. Highlighted on the April and December calendar pages were photos of the Mountain View Road project completed by Greene Township. 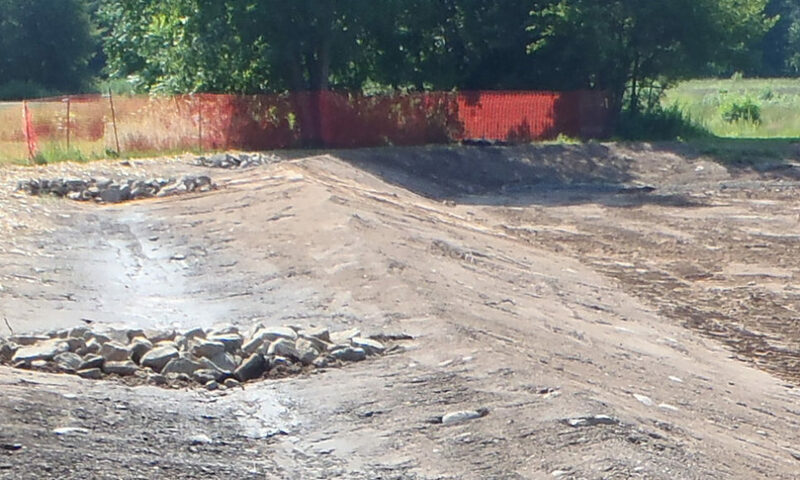 The Mountain View Road project included the installation of a trapezoidal ditch and the construction of a “tear drop” shaped channel – both designed to help eliminate sediment from reaching the nearby Sugar Hill Creek. For a copy of the calendar please contact the District office.